Note: This method is not inclusive with respect to observer certification. Some material is incorporated by reference from Method 9. 2.1 Fugitive emissions produced during material processing, handling, and transfer operations or smoke emissions from flares are visually determined by an observer without the aid of instruments. 2.2 This method is used also to determine visible smoke emissions from flares used for combustion of waste process materials. 2.3 This method determines the amount of time that visible emissions occur during the observation period (i.e., the accumulated emission time). This method does not require that the opacity of emissions be determined. Since this procedure requires only the determination of whether visible emissions occur and does not require the determination of opacity levels, observer certification according to the procedures of Method 9 is not required. However, it is necessary that the observer is knowledgeable with respect to the general procedures for determining the presence of visible emissions. At a minimum, the observer must be trained and knowledgeable regarding the effects of background contrast, ambient lighting, observer position relative to lighting, wind, and the presence of uncombined water (condensing water vapor) on the visibility of emissions. This training is to be obtained from written materials found in References 1 and 2 or from the lecture portion of the Method 9 certification course. 3.1 Emission frequency means the percentage of time that emissions are visible during the observation period. 3.2 Emission time means the accumulated amount of time that emissions are visible during the observation period. 3.3 Fugitive emissions means emissions generated by an affected facility which is not collected by a capture system and is released to the atmosphere. This includes emissions that (1) escape capture by process equipment exhaust hoods; (2) are emitted during material transfer; (3) are emitted from buildings housing material processing or handling equipment; or (4) are emitted directly from process equipment. 3.4 Observation period means the accumulated time period during which observations are conducted, not to be less than the period specified in the applicable regulation. 3.5 Smoke emissions means a pollutant generated by combustion in a flare and occurring immediately downstream of the flame. Smoke occurring within the flame, but not downstream of the flame, is not considered a smoke emission. 4.1 Occasionally, fugitive emissions from sources other than the affected facility (e.g., road dust) may prevent a clear view of the affected facility. This may particularly be a problem during periods of high wind. If the view of the potential emission points is obscured to such a degree that the observer questions the validity of continuing observations, then the observations shall be terminated, and the observer shall clearly note this fact on the data form. 5.1 Disclaimer. This method may involve hazardous materials, operations, and equipment. This test method may not address all of the safety problems associated with its use. It is the responsibility of the user of this test method to establish appropriate safety and health practices and determine the applicability of regulatory limitations prior to performing this test method. 6.1 Stopwatches (two). Accumulative type with unit divisions of at least 0.5 seconds. 6.2 Light Meter. Light meter capable of measuring illuminance in the 50 to 200 lux range, required for indoor observations only. 11.1 Selection of Observation Location. Survey the affected facility, or the building or structure housing the process to be observed, and determine the locations of potential emissions. If the affected facility is located inside a building, determine an observation location that is consistent with the requirements of the applicable regulation (i.e., outside observation of emissions escaping the building/structure or inside observation of emissions directly emitted from the affected facility process unit). Then select a position that enables a clear view of the potential emission point(s) of the affected facility or of the building or structure housing the affected facility, as appropriate for the applicable subpart. A position at least 4.6 m (15 feet), but not more than 400 m (0.25 miles), from the emission source is recommended. For outdoor locations, select a position where the sunlight is not shining directly in the observer’s eyes. 11.2.1 Outdoor Location. 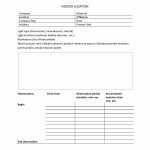 Record the following information on the field data sheet (Figure 22–1): Company name, industry, process unit, observer’s name, observer’s affiliation, and date. Record also the estimated wind speed, wind direction, and sky condition. Sketch the process unit being observed, and note the observer location relative to the source and the sun. Indicate the potential and actual emission points on the sketch. 11.2.2 Indoor Location. Record the following information on the field data sheet (Figure 22–2): Company name, industry, process unit, observer’s name, observer’s affiliation, and date. Record as appropriate the type, location, and intensity of lighting on the data sheet. Sketch the process unit being observed, and note the observer location relative to the source. Indicate the potential and actual fugitive emission points on the sketch. 11.3 Indoor Lighting Requirements. For indoor locations, use a light meter to measure the level of illumination at a location as close to the emission source(s) as is feasible. An illumination of greater than 100 lux (10 foot candles) is considered necessary for proper application of this method. 11.4.2 Observation Period. Choose an observation period of sufficient length to meet the requirements for determining compliance with the emission standard in the applicable subpart of the regulations. When the length of the observation period is specifically stated in the applicable subpart, it may not be necessary to observe the source for this entire period if the emission time required to indicate noncompliance (based on the specified observation period) is observed in a shorter time period. In other words, if the regulation prohibits emissions for more than 6 minutes in any hour, then observations may (optional) be stopped after an emission time of 6 minutes is exceeded. Similarly, when the regulation is expressed as an emission frequency and the regulation prohibits emissions for greater than 10 percent of the time in any hour, then observations may (optional) be terminated after 6 minutes of emission are observed since 6 minutes is 10 percent of an hour. In any case, the observation period shall not be less than 6 minutes in duration. In some cases, the process operation may be intermittent or cyclic. In such cases, it may be convenient for the observation period to coincide with the length of the process cycle. 11.4.3 Observer Rest Breaks. Do not observe emissions continuously for a period of more than 15 to 20 minutes without taking a rest break. For sources requiring observation periods of greater than 20 minutes, the observer shall take a break of not less than 5 minutes and not more than 10 minutes after every 15 to 20 minutes of observation. If continuous observations are desired for extended time periods, two observers can alternate between making observations and taking breaks. 11.5 Recording Observations. 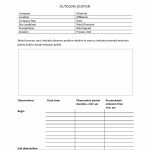 Record the accumulated time of the observation period on the data sheet as the observation period duration. Record the accumulated time emissions were observed on the data sheet as the emission time. Record the clock time the observation period began and ended, as well as the clock time any observer breaks began and ended. If the applicable subpart requires that the emission rate be expressed as an emission frequency (in percent), determine this value as follows: Divide the accumulated emission time (in seconds) by the duration of the observation period (in seconds) or by any minimum observation period required in the applicable subpart, if the actual observation period is less than the required period, and multiply this quotient by 100. 1. Missan, R., and A. Stein. Guidelines for Evaluation of Visible Emissions Certification, Field Procedures, Legal Aspects, and Background Material. EPA Publication No. EPA–340/1–75–007. April 1975. 2. Wohlschlegel, P., and D.E. Wagoner. Guideline for Development of a Quality Assurance Program: Volume IX—Visual Determination of Opacity Emissions from Stationary Sources. EPA Publication No. EPA–650/4–74–005i. November 1975.